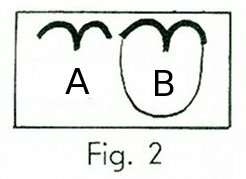 (B) Upward flow from positive pole anterior to posterior negative on head. (C) If the foot was flexed anteriorly the top or bony portion would reflect to the posterior with which it polarizes. 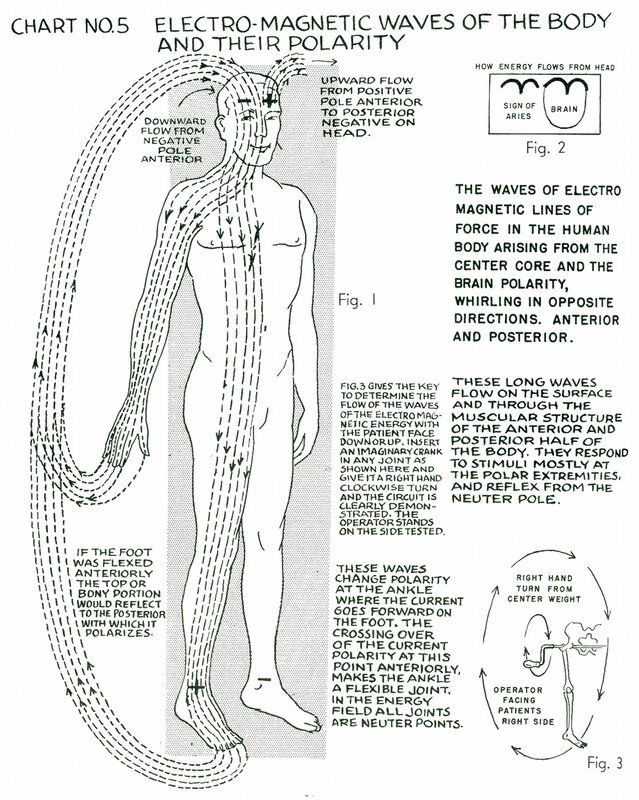 Fig.3 gives the key to determine the flow of the waves of the electro magnetic [electromagnetic] energy with the patient face down or up. Insert an imaginary crank in any joint as shown here and give it a right hand clockwise turn and the circuit is clearly demonstrated. The operator stands on the side tested. These waves change polarity at the ankle where the current goes forward on the foot. The crossing over of the current polarity at this point anteriorly makes the ankle a flexible joint. 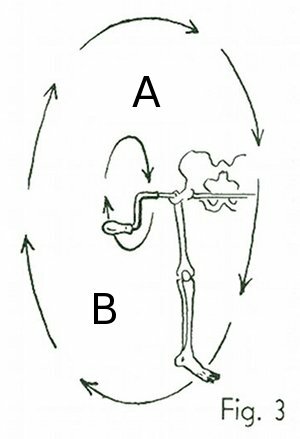 In the energy field all joints are neuter [neutral] points. 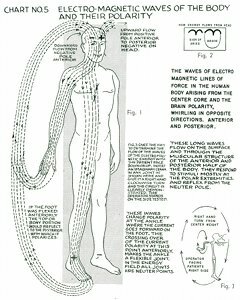 The waves of electro magnetic [electromagnetic] lines of force in the human body arising from the center core and the brain polarity, whirling in opposite directions. Anterior and posterior. 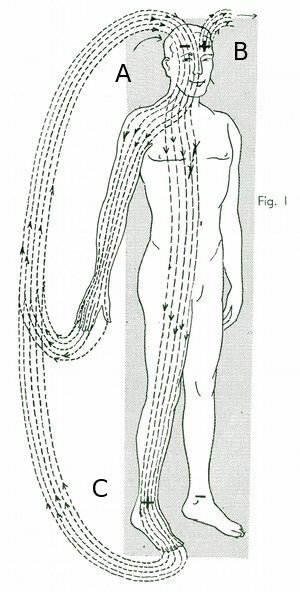 These long waves flow on the surface and through the muscular structure of the anterior and posterior half of the body. They respond to stimuli mostly at the polar extremities, and reflex from the neuter [neutral] pole.